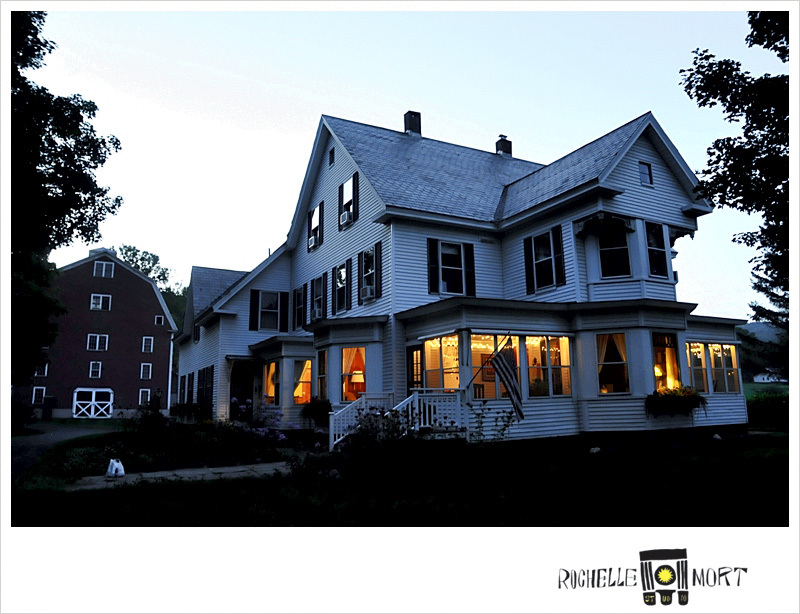 The farmhouse offers many places for you gather and visit with friends, family and fellow guests. Make music, tell stories, play a cards or a board game. Snap a puzzle together and watch the snow fall. Find an oversized chair and curl up with a book, Sit on the sun porch in your pajamas and a morning cup of coffee. If necessary, you can work. God forbid, but sometimes you can't completely escape. Our high-speed internet can make it possible. Close the doors to our music room and make it your office. We welcome families and have a good selection of story books and "unplugged" activities for children of all ages. Feel free to wonder any where and everywhere! Explore the grounds and outbuildings. Take a walk on the hills behind us. Our very generous neighbors have made their trails available for you to respectfully enjoy. 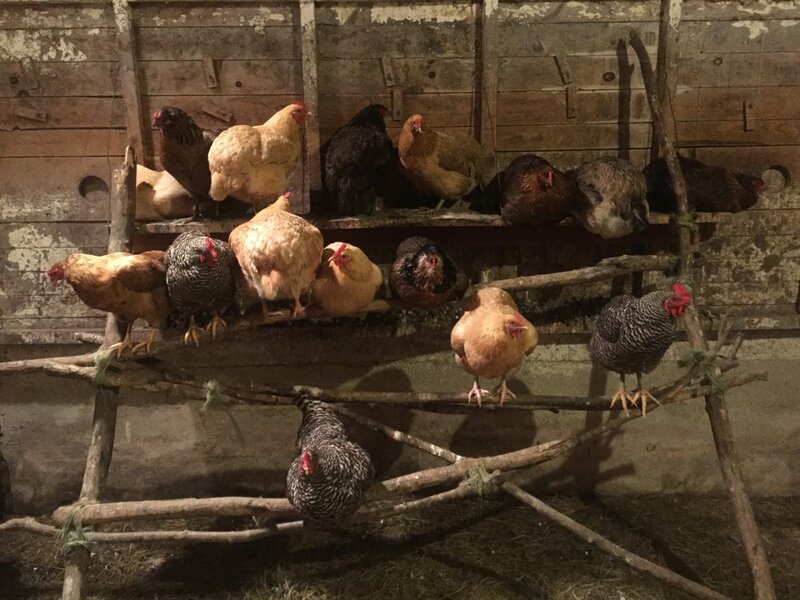 Sit under the apple tree and watch our chickens express their chickenness. They are remarkably entertaining. Tilly, our cat, may compete for your attention. 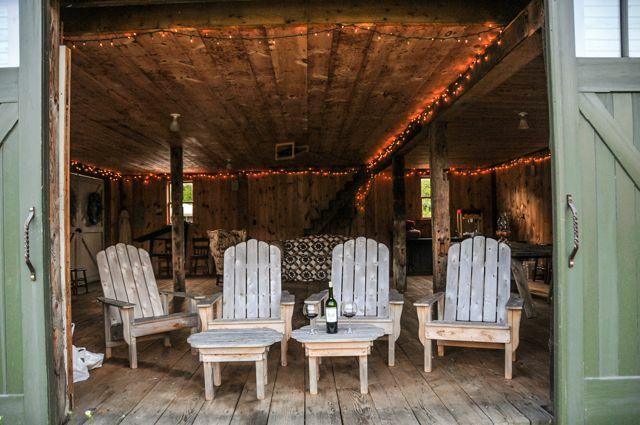 The deck of the weathered white barn is a great place to watch the sun set or stargaze. Weather permitting, dodge inside and enjoy a passing thunderstorm. This is the barn we host monthly jam sessions from May to September. Visit Yuma, our horse. She is very friendly and appreciates having her neck scratched and a kiss on the nose. The upper levels of the big red barn are now being used for events. Take a look!